With an engaging and charming delicacy, these jewelry boxes are made to entice the ladies. Because of the sturdy exterior, you can easily show off your brand name and image on these boxes to keep your ladies addicted to your incomparable jewelry boxes. 10.5 X 10.5 X 5.5"
11 X 11 X 2"
11 X 11 X 3.75"
11.25 X 8.5 X 2"
13 X 3.75 X 3.75"
13 X 7 X 3.75"
13 X 10.5 X 3.75"
14 X 14 X 5"
15 X 10 X 2"
15 X 15 X 6.5"
17 X 8.5 X 8.5"
25 X 15 X 5"
6.5 X 6.5 X 1.5"
We believe in providing high quality products to our customers and this is why we always use finest quality materials in manufacturing. Our jewelry boxes that are available in different sizes do not only look good, but are also durable. 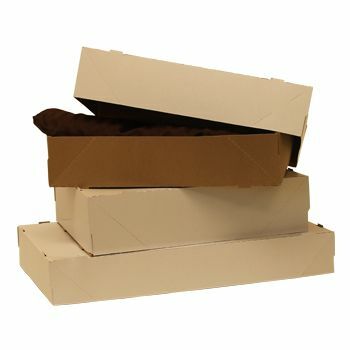 So, when you are buying our jewelry boxes stay assured that you are making a long term investment. Four different sizes of jewelry boxes are available for earrings, necklaces, charms, pendants, bracelets and any other jewelry item you may have.